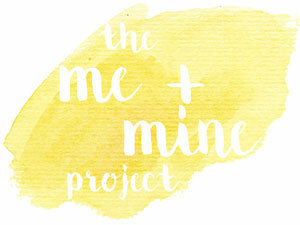 Joining up with the Me and Mine Family Portrait Project with these photos of our family for April. The first two pictures were taken on Easter Monday when we were having fun doing some egg games at a local park. These games have become a family tradition and I can't wait for next year when Baby R will be able to join in more with them! The third photo was taken onboard the boat at the Anderton Boat Lift. - A real high was hearing that Little Miss A had got our first choice of school. Can't believe that she starts in September so need to make the most of the next few months before she's a schoolgirl! - My brother and his wife came up again this month to stay for a couple of nights and look after the kids whilst we were at the Cancer Centre for my chemo. It's been so appreciated that they've travelled so far to help us out. - Little Miss A started a new gym class this month. She loved her gym classes back in Aylesbury so we were keen for her to carry on. So far so good and she's enjoying these new lessons. - We spent a great weekend with Mr MoaB's family celebrating his sister's 50th Birthday, including lunch out at a fab restaurant. It was just a shame that his Mum couldn't join us as she had only just come out of hospital. - Although I really can't stand Peppa Pig, I endured a full hour when I took the kids to the Peppa Pig: My First Cinema Experience. It wasn't Little Miss A's first time at the cinema but it was Baby R's! He wasn't that bothered by the whole thing but Little Miss A really enjoyed it and joined in all the actions and songs. - A local town held some events to celebrate St Georges Day so Little Miss A had a few rides at the funfair and then we watched the Parade. 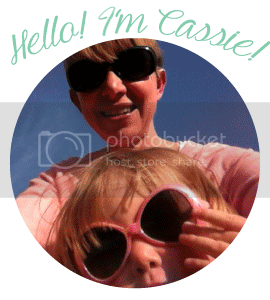 - I did some fun Easter activities with the kids (well namely, Little Miss A). I think she did 6 Easter hunts in the end, plus we had to do some egg and bonnet decorating for them to take in to nursery. You can read more about Baby R's first Easter and all our Easter Activities. - We hosted our annual Easter egg games at a local park. I love that these games, which include egg & spoon races and egg rolling, have become a family tradition. - Since we moved I've been collating a to do list of places to visit and we managed to tick on of these off this month - the Anderton Boat Lift. - Over the Easter weekend we had a visit from some friends from where we used to live. It's hard leaving friends behind when you move away so it was really nice to see them. - Some of my best friends made the long trip up from the South Coast to visit. It was amazing to see them and meant so much. We had such a lovely weekend catching up and even had a girls night out in Chester. I miss them so much and can't wait for the next get together. - Little Miss A has been poorly twice this month. The first time was a sickness bug so she was off nursery for a day. She handled it all so well with so little fuss despite the mess! Then she's been struck with chicken pox at the end of the month but thankfully has only had a few spots and has been absolutely fine in herself! - Baby R hasn't been 100% himself either. I seem to constantly have the washing machine going because of either sick or the biggest poonamis! - I've been through 2 more rounds of chemo this month but got to ring the bell this month to mark the end of the chemo. I had a fab banner with me that I'd made with Little Miss A. I will still have ongoing treatment but no more chemo. These last ones have wiped me out a lot more and I have needed a lot of sleep for a few days afterwards so I am relieved to have got through this tough part. - My arm where I had a PICC line inserted was becoming really sensitive and allergic to the various dressings. A visit to the doctor was needed for some antibiotics but in the end I opted to have the PICC line removed to let my arm heal. I don't miss having to wear the plastic arm sleeve in the shower and I'll now be able to swim with the kids which is good. I may have an alternative (a Port) fitted at a later date but for now my treatment will be administered with a cannula. I love you bunny glasses, looks like you had a great time egg hunting. I'm sorry to hear you're going through chemo treatment, especially rough when it involves being away from your children. Hooray for completing your last round, although mixed feelings I'm sure as you wait to hear what's next. Thanks so much. It is a relief to have finished the chemo. The kids definitely keep me going and I just want to make fun memories for them. Thanks so much Louise. Little Miss A won't wear the glasses, but I think they're fun! Thanks Jenny. Despite the lows, it has been a good month and definitely hoping we get lots of nice weather this summer.